How often do you have those pesky, delicious Thanksgiving leftovers? Once a year, Am I Right!? The days following the quintessential American holiday become a broken record of “Wanna heat up a plate?” “Oh, I’ll just make a turkey sandwich.” And the worst is –come Saturday– you are left with ONLY turkey as magically, the side dishes have all vanished. It’s miserable. When will you ever have that string bean casserole with sweet potatoes and marshmallows over gravy again? Ugh, do you ever really want any of that for another year? Hence we have arrived at the annual bitter-sweet farewell to an over 400 year tradition. 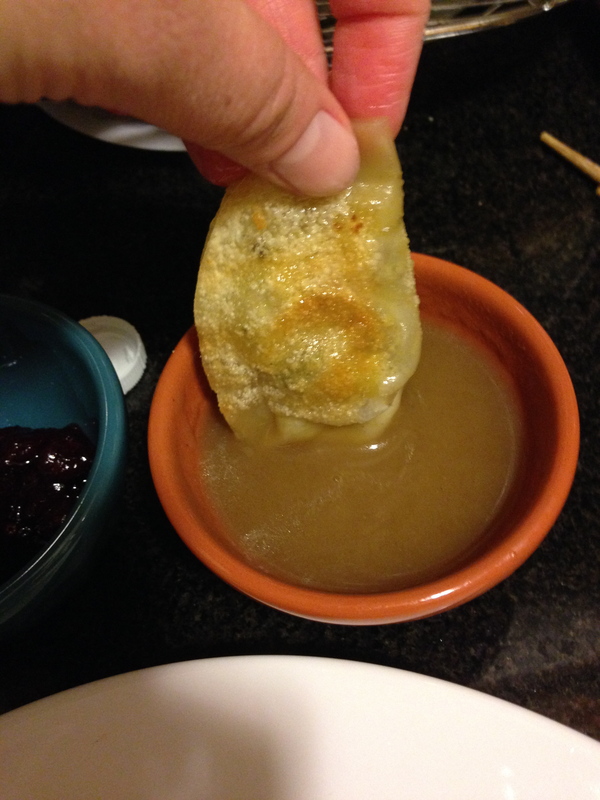 Hunger for a pre-Thanksgiving-Thanksgiving-meal, gave me the idea for a new twist on T-day leftovers—Why not make them into gyoza (pot stickers)? I mean, what did the Pilgrims do? Did they have leftovers? Did they make sandwiches or turkey pot pie? I am sure if they had gyoza wrappers, they would have attempted this recipe in 1621. 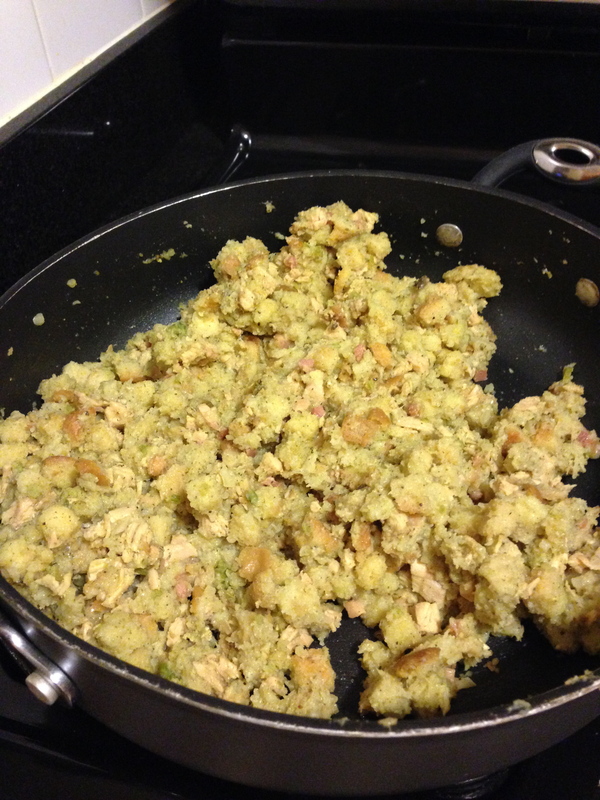 1) You will need your leftover stuffing. I made it fresh, (the stuffing is always the first to go anyway so you just might have to), by sauteing pancetta first, adding cut up pieces of the leftover turkey, then pouring in turkey stock and then by following the instructions on the box of stuffing. 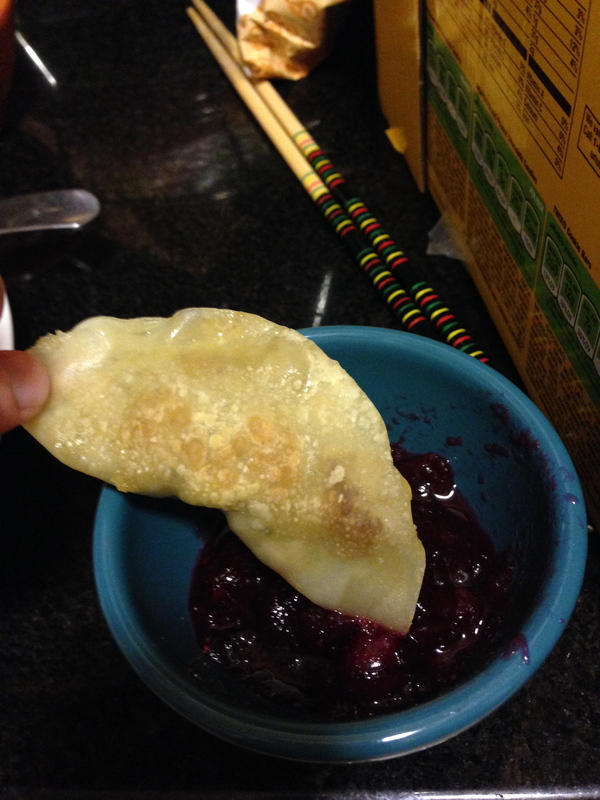 2) Take a single gyoza paper. Insert stuffing, enough for the paper to close in a shape relatively resembling any sort of dumpling you have ever had. You can pinch the paper together smooth and flat, OR make cute and even decorative creases when sealing, OR get it to close as best as possible while the filling oozes out because you put too much in and can’t be bothered to remove any of it. REPEAT about 60-100 times. 3) Heat oil (and a bit of turkey stock) into a frying pan-enough that it lines the bottom). 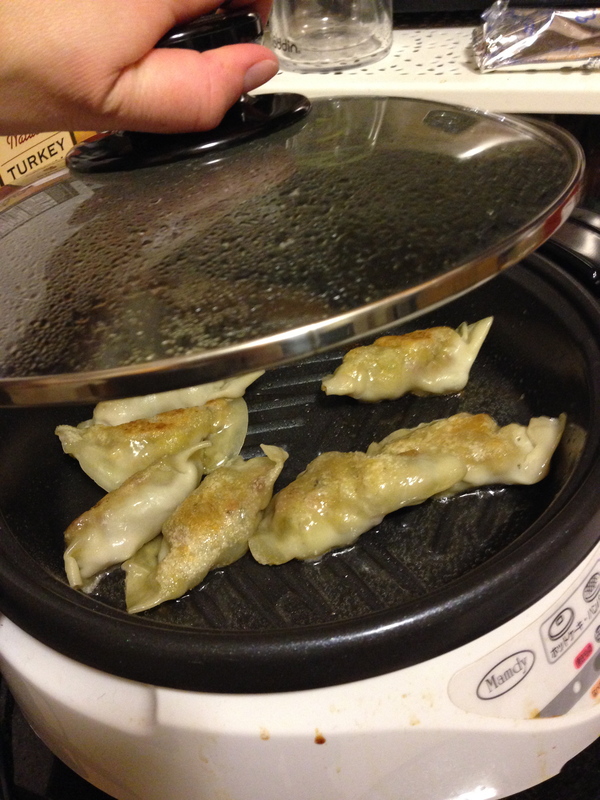 Once on it’s way to being hot, add as many gyoza that will fit. Cover and let cook until they turn golden brown/have that cooked color to them on both sides. 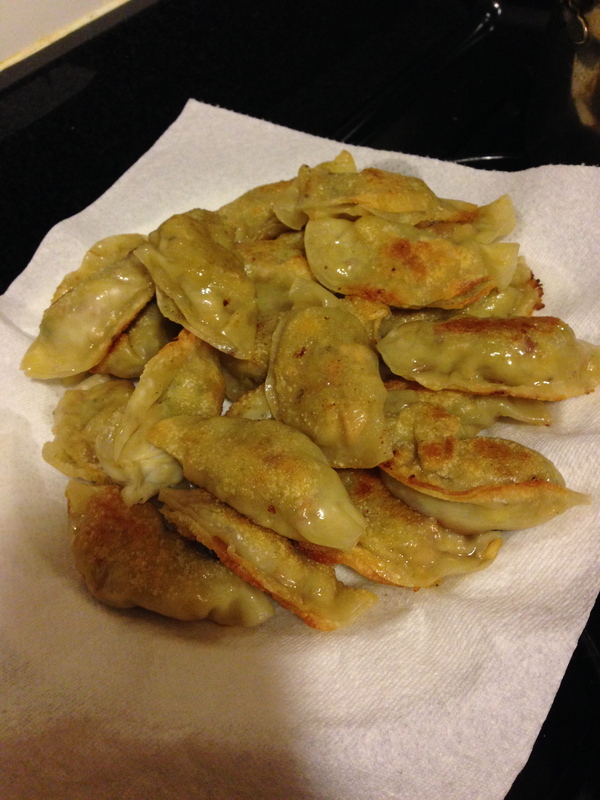 4) After several rounds you should have a lot of dumplings ready to eat. 5) Obviously you will need to take out your leftover cranberry sauce and turkey gravy, as you will need to use those for dipping.